Start with some slime-making from 3:30 to 5:00 and then stay for snacks and a special evening screening of A Wrinkle in Time, beginning at 5:30. This event is part of our Banned Books Week celebration. 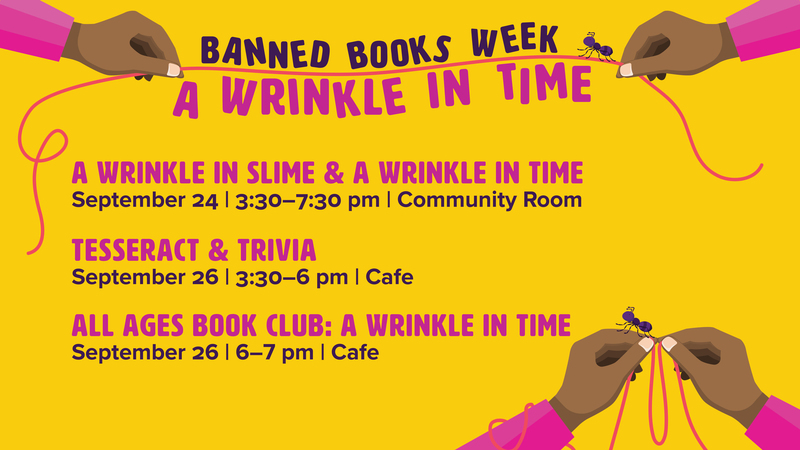 Don't miss our All Ages Book Club discussion of the book A Wrinkle in Time on September 26 at 6pm. All ages are welcome! Kids under 8 will need to stay with a grown-up.